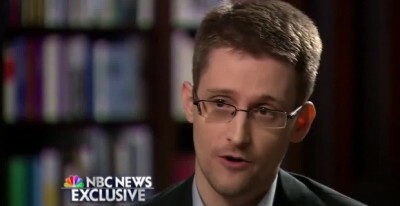 "They found that we had all of the information we needed as an intelligence community... to detect this plot"
Statements made by NSA whistleblower Edward Snowden regarding the 9/11 terror attacks were edited out of his NBC Nightly News interview with Brian Williams Wednesday in what appears to be an attempt to bolster legitimacy for the agency’s controversial surveillance programs. Snowden’s comments surrounding the failure of dragnet surveillance in stopping the 9/11 attacks were censored from the prime time broadcast and instead buried in an hour long clip on NBC’s website. “You know this is a key question that the 9/11 commission considered, and what they found in the postmortem when they looked at all the classified intelligence from all the different intelligence agencies, they found that we had all of the information we needed as an intelligence community, as a classified sector, as the national defense of the United States, to detect this plot,” Snowden said. NBC’s decision to bury Snowden’s comments are unsurprising given the fact that the 9/11 attacks are exhaustively used by the federal government as the prime justification for surveilling millions of innocent Americans. Snowden remarked on the government’s prior knowledge of the accused Boston bombers as well, also cut from the prime time interview. ‘If we’re missing things like the Boston Marathon bombings where all of these mass-surveillance systems, every domestic dragnet in the world, didn’t reveal guys that the Russian intelligence service told us about by name, is that really the best way to protect our country or are we trying to throw money at a magic solution that’s actually not just costing us our safety, but our rights and our way of life,” Snowden said. Former NSA senior executive turned whistleblower Thomas Drake, who revealed unconstitutional surveillance programs targeting Americans in 2005, has repeatedly commented on NSA intelligence that would have “undoubtedly” stopped the 9/11 attacks. In a January letter to President Obama, Drake and fellow whistleblowers William Binney, Edward Loomis, and Kirk Wiebe not only detailed the agency’s foreknowledge, but the ensuing cover-up as well. Outside of the NSA, countless intelligence officials have also commented on 9/11 foreknowledge and the federal government’s attempts to stifle any investigation into negligence and wrongdoing. Former senior intelligence officer Lt. Col Anthony Shaffer, who attempted to inform the government after identifying the two terrorist cells later charged for the 9/11 attacks in 2000 during Operation Able Danger, was attacked and demonized by the Defense Intelligence Agency after informing Congress of the agency’s refusal to act. Former FBI wiretap translator Sibel Edmonds, who had access to top-secret communications, told reporters in 2004 that the FBI had detailed 9/11 foreknowledge that specifically mentioned a terrorist attack involving airplanes. According to Edmonds, after the 9/11 attacks, FBI supervisors ordered translators to “work slowly” in order to ensure that the agency would get larger funding the next year. The vast number of whistleblowers in the intelligence community not only gives credence to Snowden’s comments, but also exemplifies the NSA’s illegitimate growth since 9/11. In a desperate attempt to gain the moral high ground, Secretary of State John Kerry claimedSnowden had aided terrorists during an interview on “Good Morning America” Wednesday despite having absolutely no evidence to support his accusation. Despite the fact that the NSA leaks have proven the agency to be involved in issues unrelated to national security, such as economic espionage, the claim of using mass surveillance to stop terrorism deteriorates even further in light of recent decisions by the Obama Administration. In 2013, President Obama waived a federal law designed to prevent the US from arming terrorists in order to provide military support to the “Syrian rebels.” Even with Syrian Revolutionary Front leader Jamal Maarouf admitting that his fighters work alongside the Al-Qaeda aligned Jabhat al-Nusra, the Obama Administration has continued its unflinching support. The president’s support of Al-Qaeda was so transparent during the Libyan overthrow that former Democratic Congressman Dennis Kucinich publicly questioned why the US-backed “Libyan rebels” had placed an Al Qaeda flag over the top of the courthouse in Benghazi. Whether it be issuing fake terror alerts, creating domestic terror plots or allowing them to take place, the national security state will undoubtedly do whatever it can to continue its unabated growth towards total information awareness.